What Makes TurfGro Fertilizers Different? 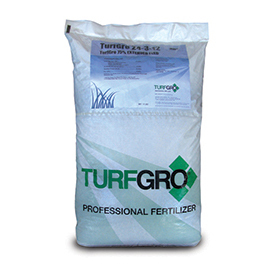 TurfGro Professional Fertilizers are formulated for your region—your soil, turf and plant needs. We work with local blenders to ensure we incorporate the right Nitrogen and micronutrients for improved soil and turf health. The TurfGro lineup offers solutions to specific landscape needs. TurfGro PLUS product line utilizes soil amendments and nutrition available exclusively to Horizon to offer premium benefits like soil surfactants from Aquatrols.